​Pennsylvania Farm Show Complex and Expo Center​, where we recently hosted a pair of highly-regarded national agriculture shows: the All-American Dairy Show and the KeystoneInternational Livestock Expo​ (KILE). They are premier stops on the show road. 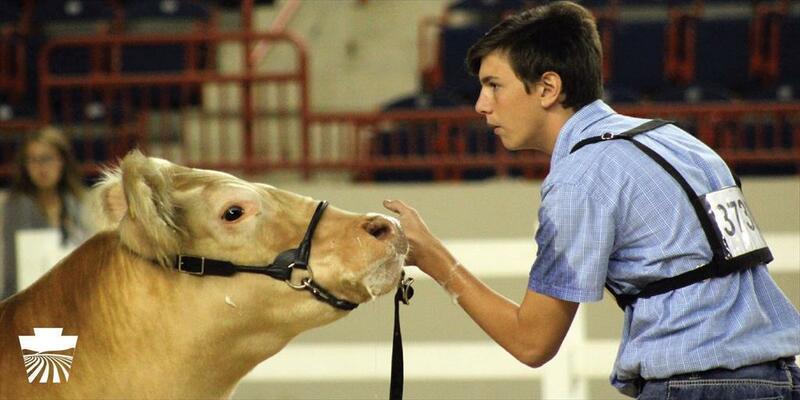 The All-American, held in mid-September, is the largest dairy show in North America. KILE, which wrapped up this first weekend of October, is the largest livestock show on the east coast. And both carry a heavy focus on educating the next generation of agriculturalists and consumers. Both shows host judging contests that test how well 4-H, FFA and collegiate contestants can evaluate classes of four dairy cattle or livestock, and how well they can defend their decisions before a judge. Without notes. In a private room. Hours after they’ve reviewed the classes. As someone who has participated in such contests, I can attest that it’s a difficult task, but one that helps hone a host of skills. They’re also host to management contests that test their overall knowledge of what it takes to be a stockman – feeds, forages, equipment, animal breeds and more. These contests attract youth from a host of states – 4-H clubs, FFA chapters and colleges from Florida to California and everywhere in between.